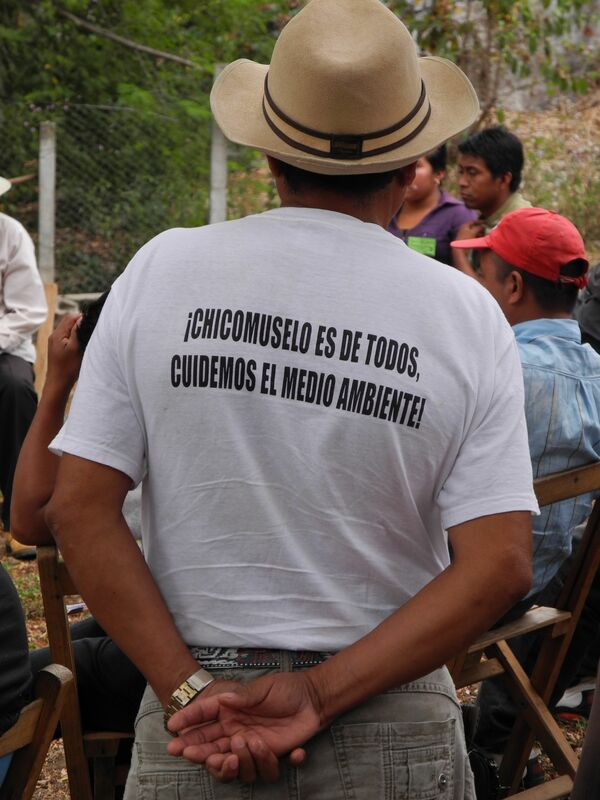 Whether or not they view themselves as such, individuals and groups who are fighting to protect their lands, their water supplies, a healthy living environment, and the self-determination of their communities are land and environment defenders. Included in our definition are those who contribute to such efforts through reporting or accompanying these struggles, for example by providing technical or legal support. 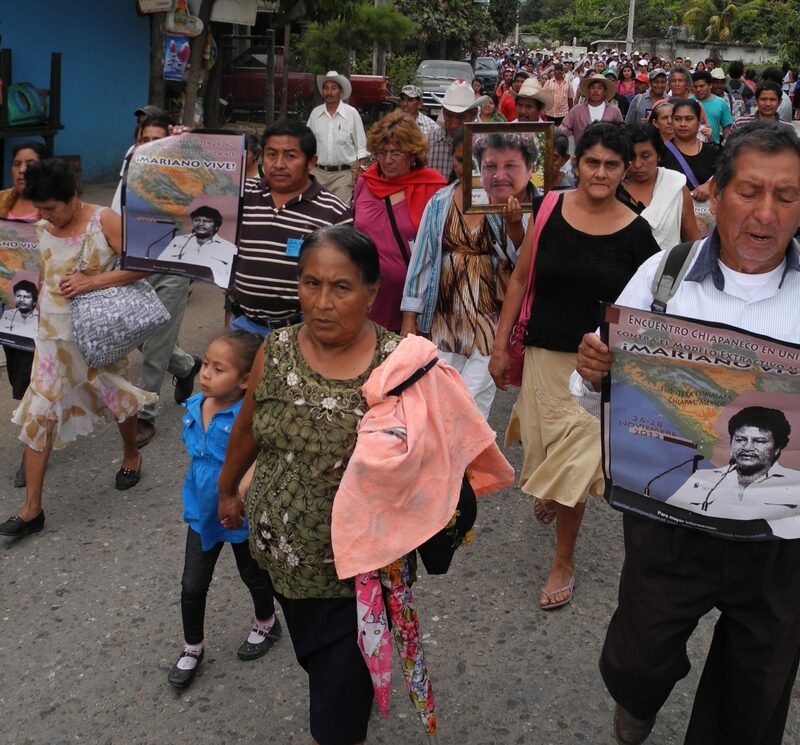 It is worth noting that those on the front lines of land defence – those most affected by Canadian and other mining interests and the violence that so often accompanies resource extraction projects – come overwhelmingly from Indigenous and Afro-descendent communities. 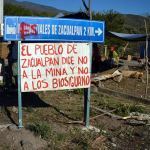 The struggles of mining-affected communities today are directly connected to centuries-old struggles against ongoing colonial dispossession and violence. 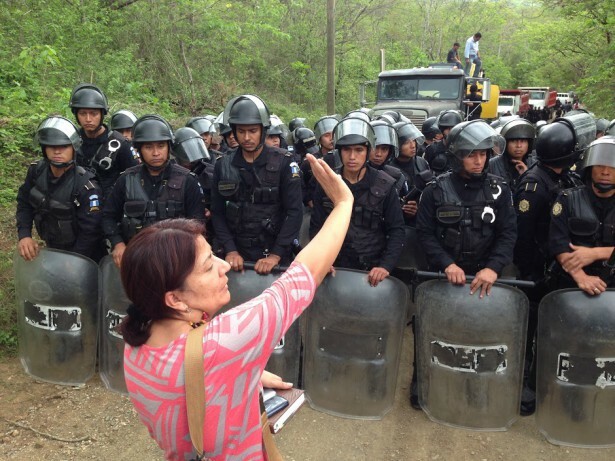 Land Defenders Or Human Rights Defenders? 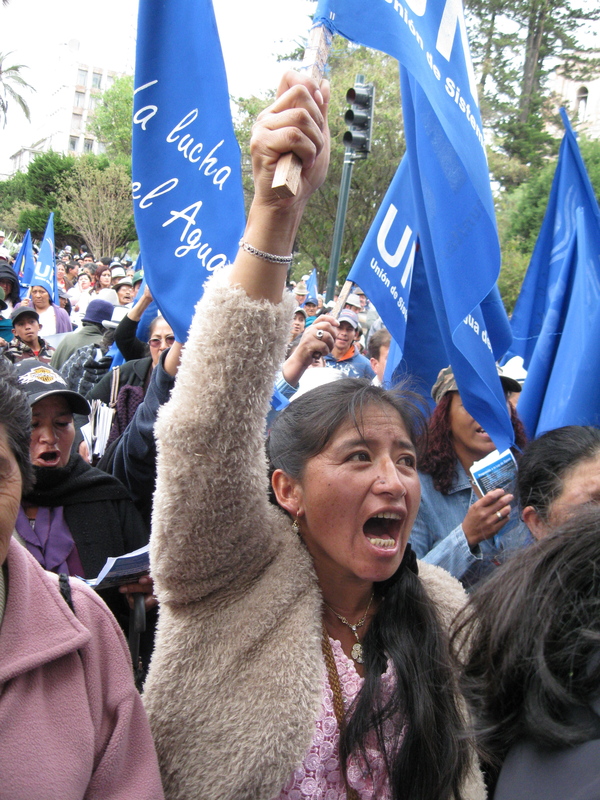 The legal definition of a “human rights defender” requires the use of lawful means to carry out one’s work. 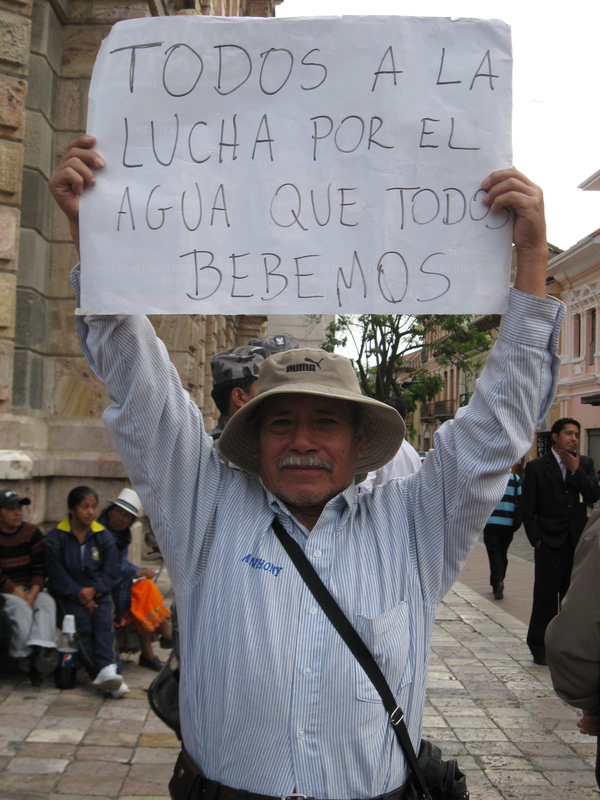 While the tactics used by mining-affected communities to protect themselves are often lawful, individuals and groups may also resort to civil disobedience, particularly when their concerns are not heard or addressed through formal channels (as is very frequently the case). 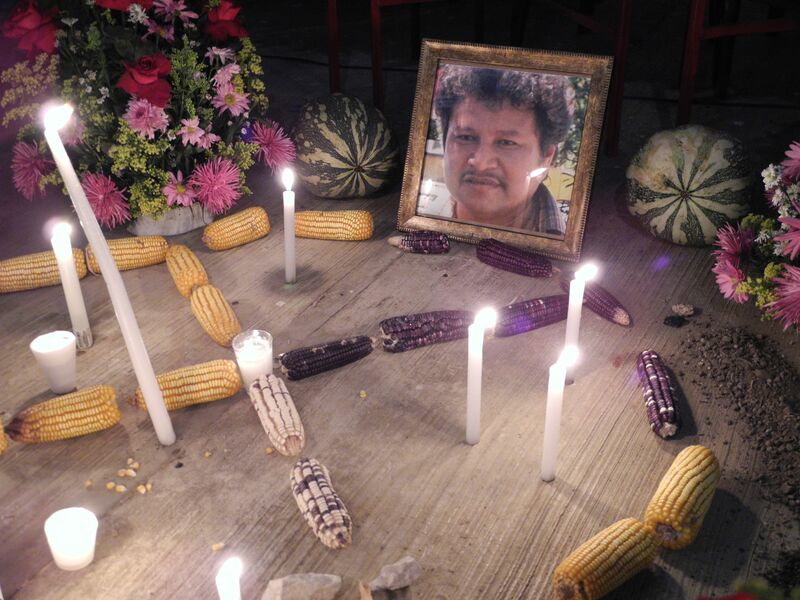 It is essential to recognize the legitimacy and importance of civil disobedience in conflicts where there is an inherent power imbalance and where the historic marginalization of Indigenous, Afro-descendent, and farming communities is often reinforced. 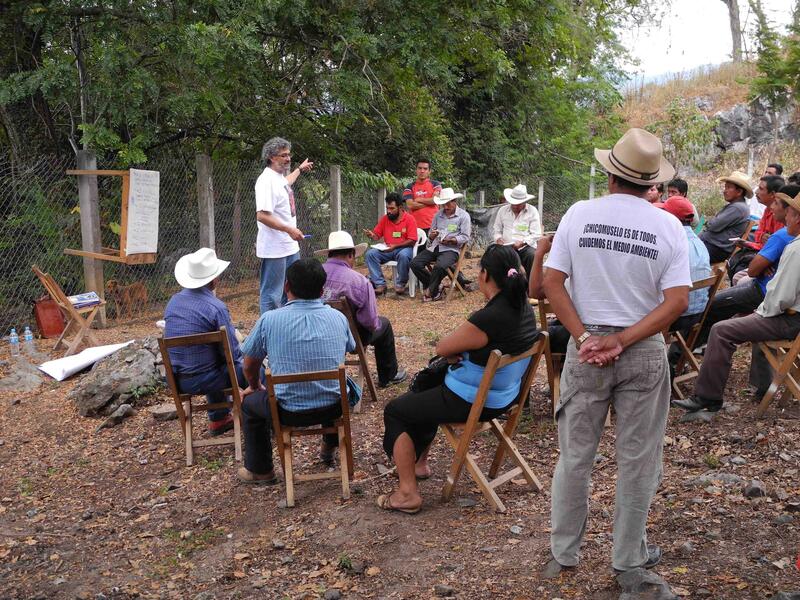 In doing so, we use the concept of “land and environment defenders” to move beyond those who would fall under the legal definition of “human rights defenders”. 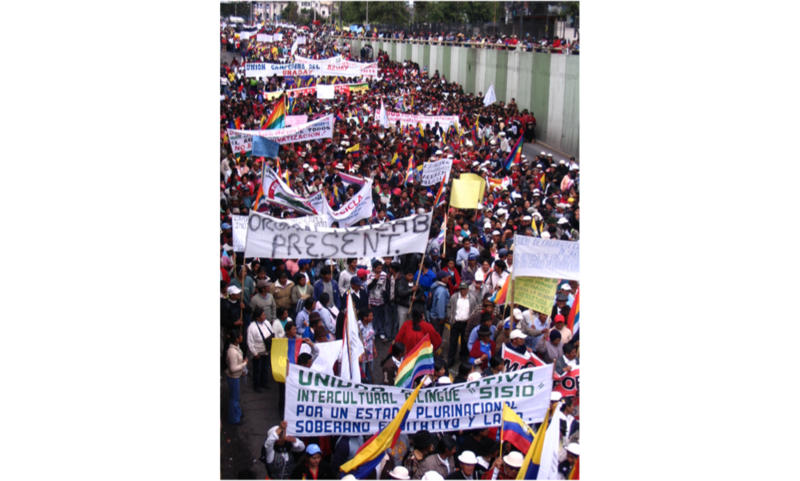 The use of civil disobedience in these struggles is an important and a legitimate expression of dissent where, for a variety of reasons, institutional and legal mechanisms fail to respond justly and/or to meet their democratic mandates. 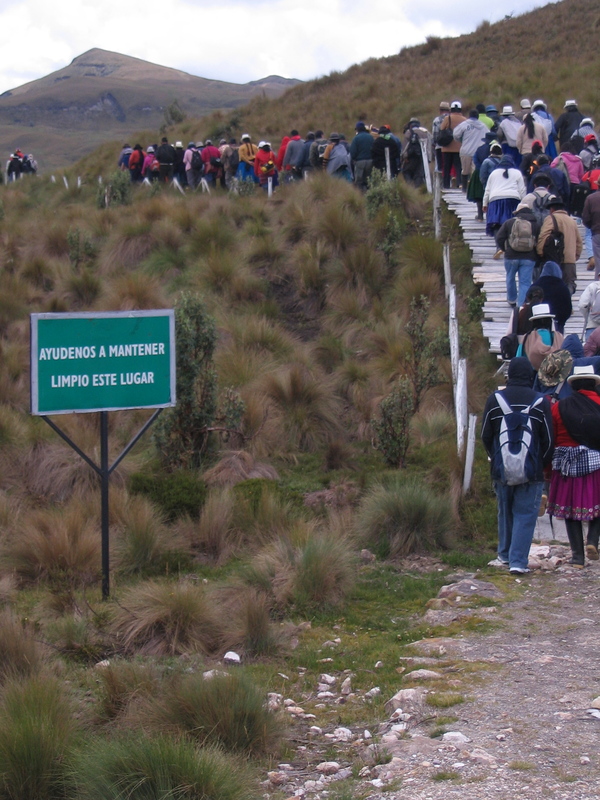 Communities and groups who take direct action are frequently characterized as disturbing the peace and putting public security at risk. In fact, legal repression often focuses on acts of protest themselves, rather than the underlying issues that lead protests to occur. For example in Canada, those in power frequently utilize pre-emptive injunctions (leading to contempt-of-court charges) as a tactic to avoid bringing the underlying sources of conflict before the courts. Despite all efforts to stigmatize civil disobedience as completely intolerable to a peaceful and law-abiding society, such actions are an important part of dissent. 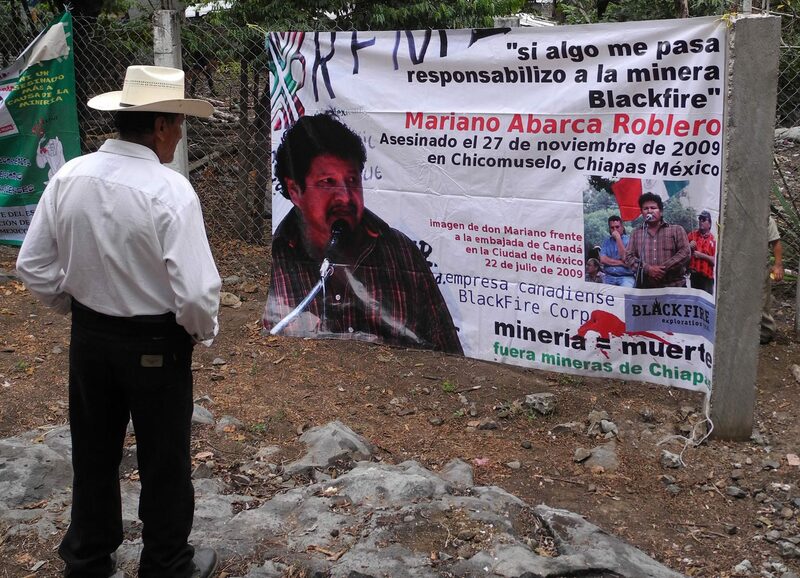 They are further justified when considered against the rampant and seemingly systemic impunity with which corporate and state forces inflict harm on mining-affected communities through violent, repressive acts perpetrated in the name of maintaining “business-as-usual”. 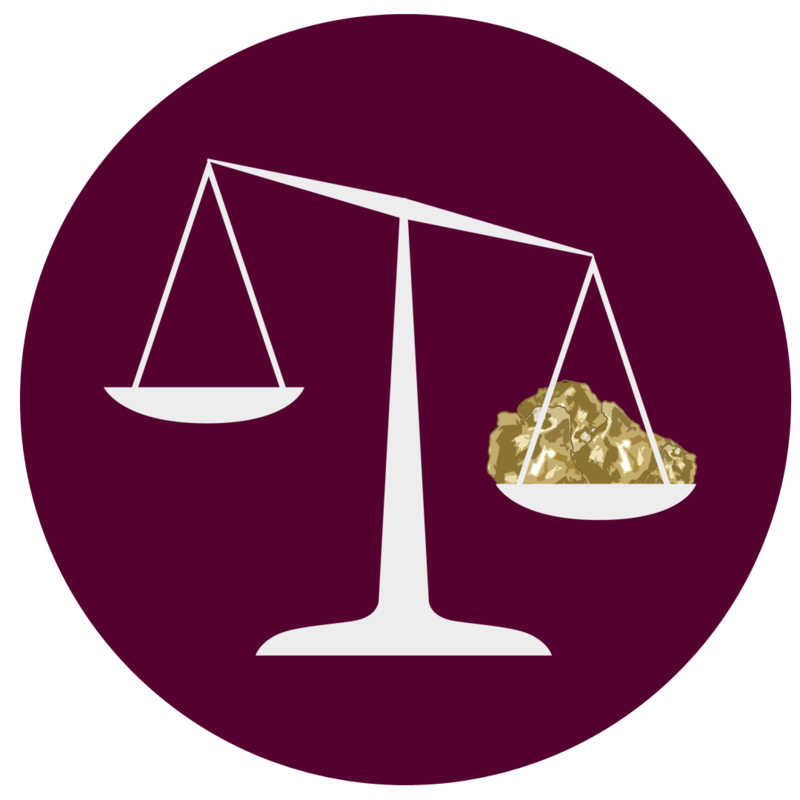 Why is one act considered lawful and peaceful when another is not, and who determines this? 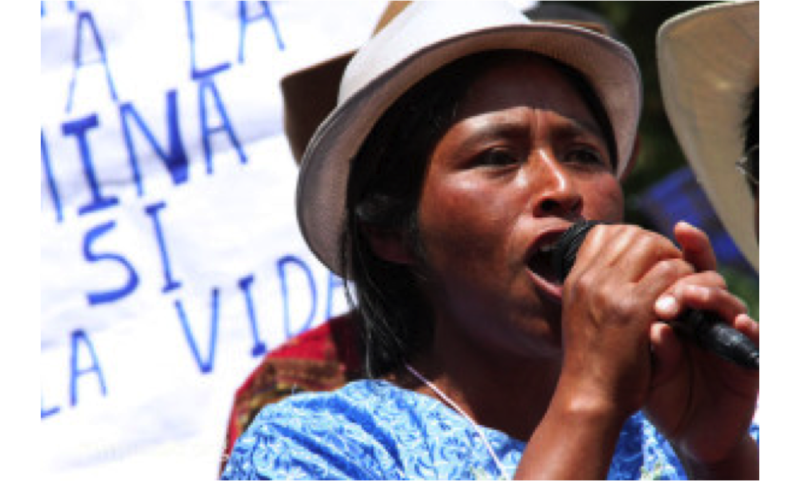 Why should actions such as the destruction of water supplies, sacred areas, forests, and productive land – jeopardizing the peoples that rely on them – not be considered criminal and violent and duly prosecuted? Ultimately, this line of interrogation raises further questions about the legitimacy of pertinent laws, about who has designed them and for whom they have been designed. 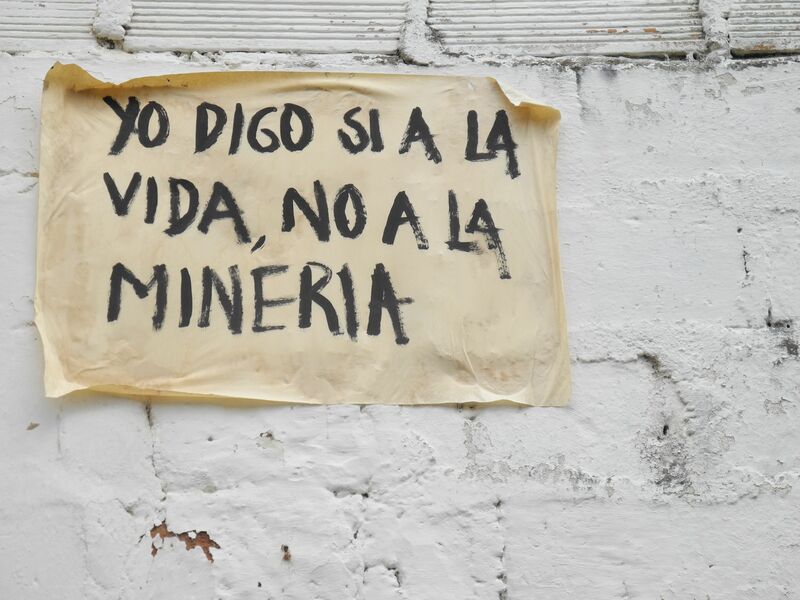 You can find more detailed information on mining codes and related laws, their relationship to (Canadian) corporate interests backed by governments, and the repression and criminalization of mining-affected communities in the Country Cases section of this site. Click an image to expand then hit the X in the bottom corner of the featured image to read a detailed description. 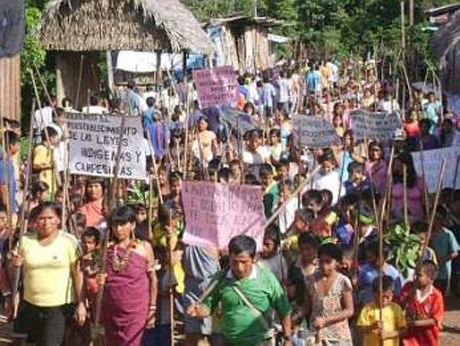 For 58 days in mid 2009, thousands of Indigenous Awajún and Wampi men, women and children demonstrated their opposition to decrees that Peruvian President Alan García had issued to presumably put into effect the free trade agreement with the US. 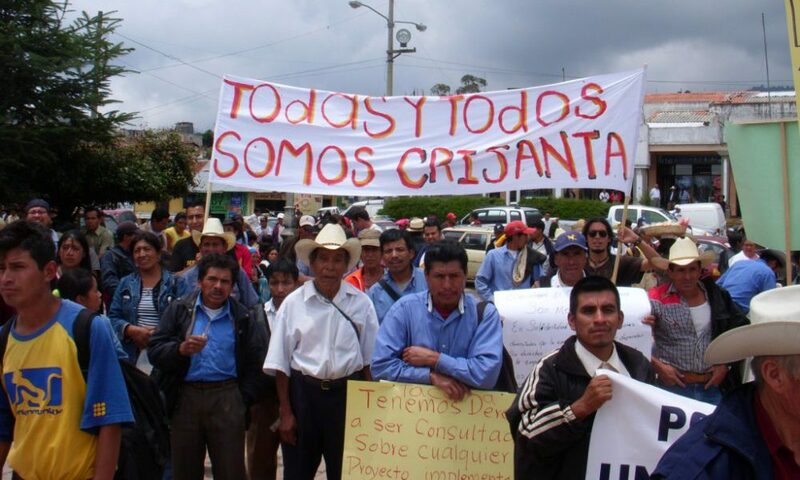 Dozens of decrees were oriented to privatize Indigenous land and further enable mining, oil and logging projects, such as the unwanted gold project that the then Canadian-held company Dorato Resources was exploring along the northern border of Peru with Ecuador. 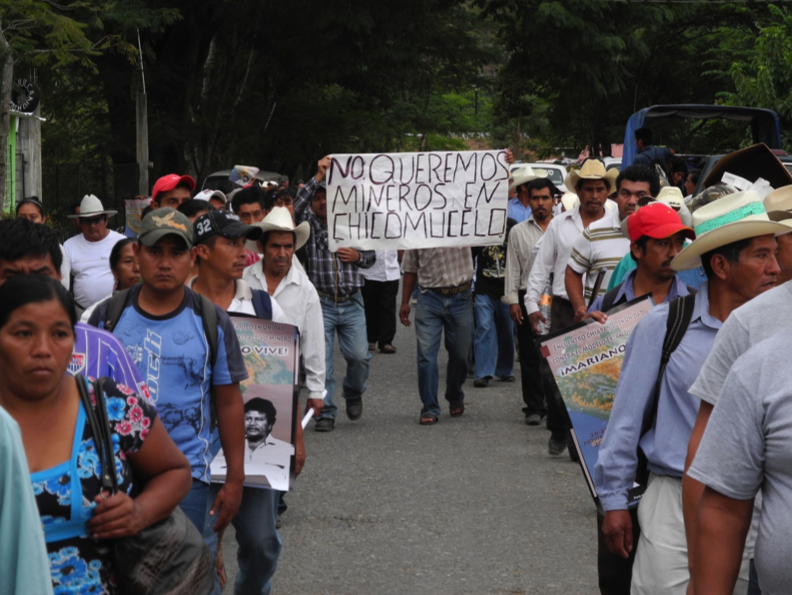 Gregoria Crisanta Pérez leads a protest against Goldcorp's Marlin mine in northwestern Guatemala. 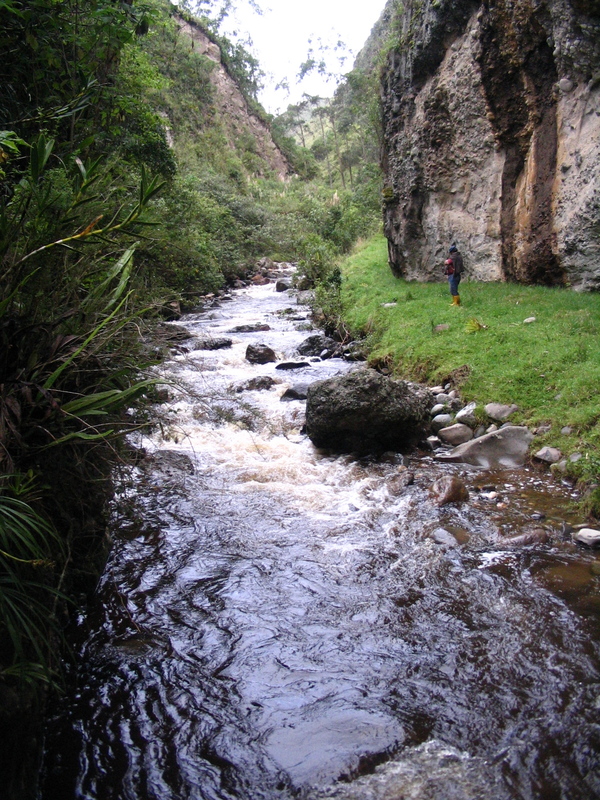 Community members make a visit to the site of a proposed gold and silver mine originally owned by IAMGOLD (now INV Metals) in the páramo of Kimsacocha, Azuay, Ecuador. 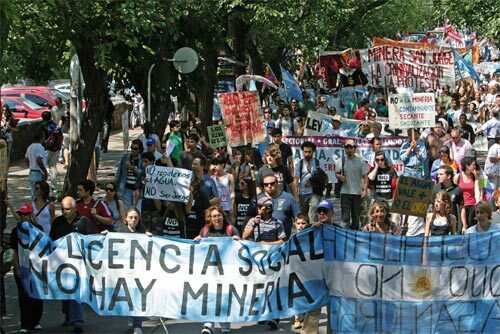 Protest against Coro Mining's open-pit copper project in Mendoza, Argentina. 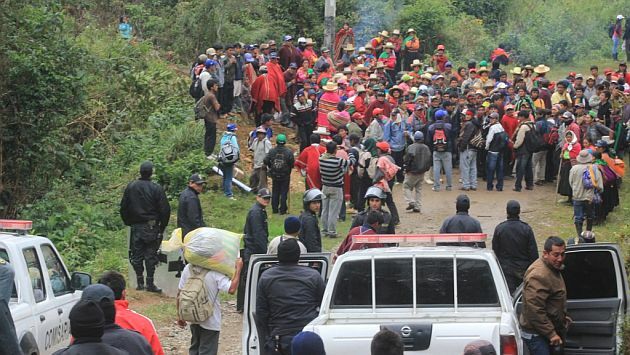 Community members block the road in the district of Cañaris, province of Ferreñafe, in protest against Candente Coppers' mining project . Poster on a wall in Támesis, Antioquia, Colombia. 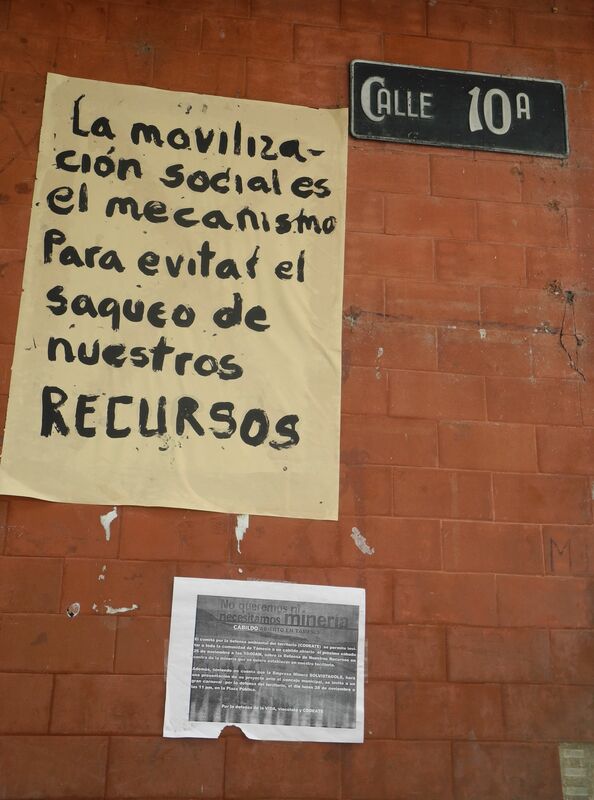 "Building social movement is the route to preventing the pillage of our natural resources," says this poster on a wall in Támesis, Antioquia, Colombia. 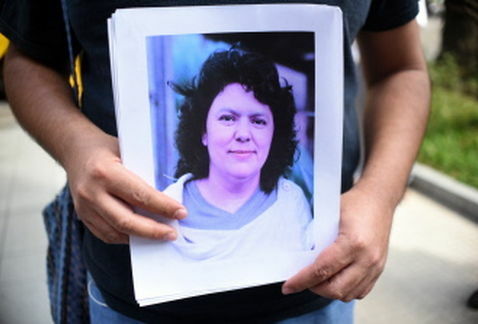 A person holds an image of Honduran Indigenous activist Berta Cáceres who was murdered on March 2, 2016 for her struggle against a hydroelectric project and in favour of the self-determination and territory of the Lenca people. 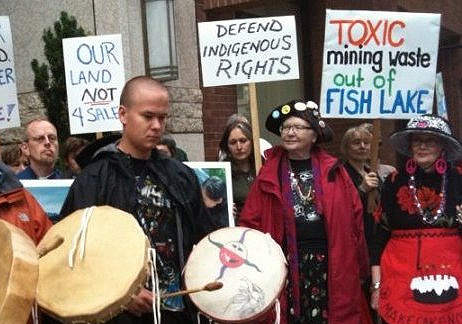 Tsilhqotin Indigneous people protest the Taseko Prosperity mine.